Anita Hegde is on the Board of Advisors for Hungry Bags Private Ltd. Anita is a Qualified Chartered Management Accountant with over 10 years of experience in a wide range of areas including Core Finance, Service and Quality, Process Reengineering within the banking sector, Change Management, Restructuring and Fraud Investigation. Throughout her illustrious career, Anita's core area of expertise has been in analysing existing systems and procedures, dealing effectively with crisis management and designing internal control systems. As a member of the Board of Advisors, Anita will be advising Hungry Bags Private Ltd. on these core areas of business such as Financial Structuring, Business Process Engineering as well as Quality and Service management. In her previous stint, Anita had worked with Standard Chartered Bank, Dubai as Head - Customer Care Unit, UAE. She was looking into Process Reengineering and Improvement, Service, Quality and numerous other initiatives for the bank's entire portfolio of Consumer Banking Products. She has also worked with Expedo Ltd., London as Group Financial Controller & Analyst as well as Thames Reach Bond way, HA as the Deputy Director of Finance. 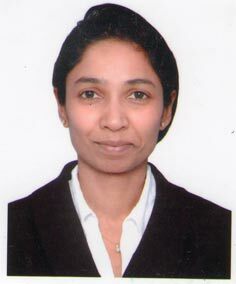 Anita is a qualified Chartered Management Accountant from CIMA and has completed her B.SC (Hons.) in Economics and Computing from City University, London. Subhash Verma is one of the pioneers of the Indian tours and travel Industry and has been pivotal in shaping it into the giant that it is today. With more than 40 years of experience in the industry - Subhash brings with him a wealth of knowledge and experience that is unparalleled. 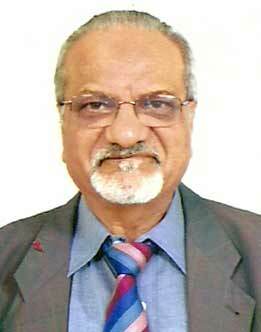 Subhash started his career with Indian Airlines and soon thereafter joined Lufthansa Airlines where he worked for over 30 years. In 1995, he decided to take an entrepreneurial leap and started his own travel firm in New Delhi, of which he is currently the Chairman. He has been instrumental in shaping the policies and increasing awareness of the Tourism Industry in India, which was relatively nascent at that time, throughout his career. An active spokesperson and member of numerous industry forums, he has worked closely with the government and industry bodies such as FICCI and CII and is also a current member of their tourism committee. He was a spokesperson for FICCI in various seminars as well as a CII Delegate to the Geneva India tourism festival. This has ensured that Subhash's network includes most of the major airline and hotels in India and abroad. He is also the current President of the Association of Domestic Tour Operators of India (ADTOI) and has been the former Chairman of TAAI, Northern Region for three years. A graduate from one of the premier commerce colleges in India - SRCC (Delhi University), Subash also holds a Post Graduate degree in the German Language. Of course, it goes without saying, that Subhash is widely travelled the world over. An avid Rotarian, he has previously held the post of the President of the Rotary Club. Subhash is deeply spiritual by nature and he has pursued this passion by promoting Yoga, Ayurveda as well as Spiritual Tours in India. In fact, 'My Healing Temple' - a spiritual center - is an initiative that he spearheads in his spare time. 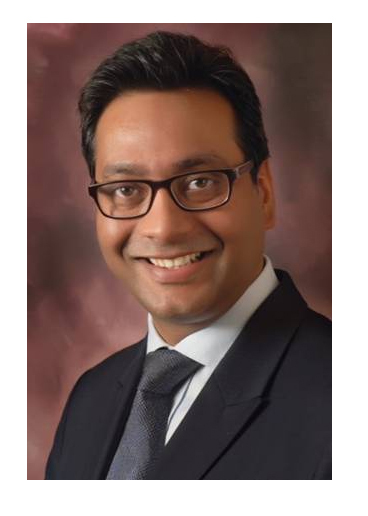 Amit Saxena is the Managing Director of GEM Group for Nigeria. GEM Group is a private equity Group specialising in alternate investments across sectors, with a special focus on E-ventures, Banking, Telecom, Infrastructure. Amit brings with him a wide range of experience from entrepreneurship to investment banking. Amit works with one of Gem investments, Dunn Loren Merrifield, an investment bank based out of Lagos and his role includes origination of deals for financial advisory and corporate bonds. He is also actively involved in building IPP business for GEM in Africa. While his current focus lies in building ventures and increasing value in them, Amit has valuable prior experience in the Telecom and has been working closely with top telecom operators, logistics and infrastructure firms. In the infrastructure vertical, he has worked in building consortiums and bidding for different projects in Africa (Nigeria, Ghana, Kenya, Ethiopia) on a PPP basis with the Government and other institutions such as IFC (International Finance Corporation), a division of World Bank and AFC (Africa Finance Corporation, a premier African PE group) among other institutions like UBA, FCMB, First Bank etc. 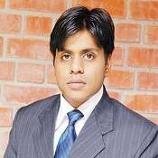 His past experience includes his tenure with WorldPhone, a Telecom services company in India engaged in VoIP and data services, from 2004 to 2006. Prior to his stint in WorldPhone he worked with Citgroup Singapore in their Corporate Bank division. Amit has completed his Engineering from Mangalore University (Manipal) and his Masters in Business Administration (International Business) from Bristol University, United Kingdom. Amit's passions include golf, travel and adventure sports. Saurabh has more than 5 years of experience in the role of Business Development, Merger and Acquisition, Fund Raising, Corporate Planning across large corporate across both old world (manufacturing sector) and new world (Digital Media). He has experience in formulation of business growth strategies and driving the budget and performance management culture in the organization. His last assignment was with Astro Overseas Limited (Large Media Conglomerate in South East Asia) wherein he was part of the team responsible for investment of USD 60mn (Local Search Business), USD 15mn (E-Commerce Platforms), USD 40mn (TV Broadcasting). He was also involved in two cross-border acquisitions in the range of USD 2mn each in digital media space. A sports enthusiast, he devotes most of his leisure time following sports ranging from cricket, football, Formula 1 etc. He completed his Master of Business Administration (MBA) from Indian Institute of Management Lucknow in 2009. He did Bachelor of Engineering in Mechanical from Delhi College of Engineering.